Full-service residential contractors for major renovations, extensions and new constructions. Twenty years of experience in the Bay Area. We believe that investing in a better place to live for you and your family is the best thing you’ll ever do. We will work with you to think about and plan your dreams and then, step by step, make them happen. 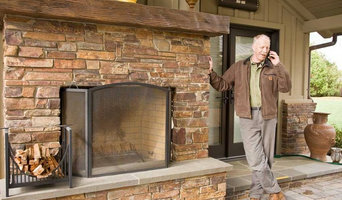 Jeff Frankenfield, founder of JKF Construction, has been building, extending and remodeling houses in the Bay Area for more than twenty years. We are proud of what we’ve built for our clients, and look forward to working with you. HWH Home and Garden - designed to encourage client input in collaboration with our ideas and expert installations. We seek rewarding relationships with clients for unique exterior landscapes in the Santa Clara Valley. Please review our Outdoor Living photos and contact us to make your dreams come true! Barrios Wagner Builders was formed by two former employees of Chris Donatelli Builders, after Chris announced his retirement. Barrios Wagner Builders (BWB) is run by Humberto Barrios and has carried on the CDB legacy, keeping key personnel with many years of Award-winning construction experience has maintained our commitment to customer service and continued success. We pride ourselves on quality, organization, schedule, and communication. Our Carpenters and Project managers are Certified Lead Carpenters and/or Certified Remodel Carpenters, and all have many years (14-30) in the industry. Organizing document control is also key in communication and scheduling. Before a project begins we create a Gantt Chart Construction Schedule for management and accountability. Schedules along with Job Progress Notes are reviewed each week at weekly construction meetings. This allows for schedule, construction, and design issues to be discussed routinely for a successful project. Please contact us if you have any questions or remodeling needs. S.F. 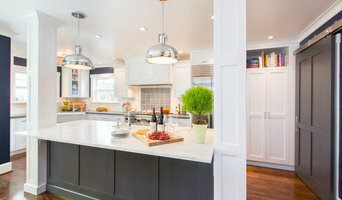 Bay Area General Contractors and Remodelers - Best of Houzz 2015! Company President John P. Whitney has managed hundreds of projects on the San Francisco peninsula and in the South Bay for over 38 years. His expertise covers a wide range of projects including custom homes, remodels, additions, & commercial TI’s. He also specializes in exterior deck or balcony leak detection and waterproofing solutions. We use comprehensive, state of the art technologies in our business practices. From our American Contractor estimation software to managing project time lines with Microsoft Project. We custom build and renovate homes. We also install, restore and repair deck's & balconies. If you are experiencing any water damage(s) to your home we can provide waterproofing services which include, all siding repairs, window & door repair, deck interior and exterior dry rot repair, walkable elastomeric waterproof surfaces & tile decking. We are licensed, fully insured and bonded. Thank you for considering J P Whitney Construction, Inc. for your next project. From design to finish, we walk you through the entire process to help you achieve your desired results on time and on budget. Let us and our quality staff provide all the support you need for project success! 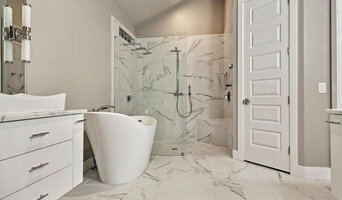 We specialize in home additions, new construction, custom homes, bathrooms and kitchen remodels. We are in the business of serving our customers. We believe in the PEOPLE-ORIENTED BUSINESS approach. Whether it is attention to the customer's needs or the needs of our crew members, we strive to provide full support to all involved. This creates a comfortable environment on any project that eventually turns into a trusting relationship. This is why we can proudly say that 90% of our customers use our services regularly. In the early years, Farbex was able to succeed because of the integrity of our team. This is very crucial character trait and we try to surround ourselves with people of integrity and honor. We put that before the talent. You cannot survive in this business on talent alone. Honest work done with attention to detail and determination to satisfy our clients' needs is what we thrive on. General, or construction contractors, are often known as project managers. They oversee the entire remodeling or new home construction project and facilitate all day-to-day tasks that move it toward completion. A Mountain View general building contractor will work with your architect to review plan as you build a house and ensure everything is in place before work is started as well as arrange for permits and necessary inspections. While good local home improvement contractors in Mountain View will have the skills to handle certain tasks onsite, such as carpentry, he or she is also responsible for hiring subcontractors for the majority of jobs, such as electrical work, painting or plumbing. In addition, the general contractor should be on-site regularly to inspect the progress and resolve issues. Here are some related professionals and vendors to complement the work of general contractors: Architects & Building Designers, Interior Designers & Decorators, Landscape Architects & Landscape Designers, Kitchen & Bath Designers, Specialty Contractors. Home remodeling contractors are a must for successful completion of a renovation. Because of this, it's essential that you do your homework before deciding on the right general contractor in Mountain View as you remodel or build a house. Inspect bids carefully. Was it ready when the contractor promised it? Was the bid for building a home unusually high or low? Each of these things can be very telling: A late bid may reflect timing standards, and an off-the-mark bid could be code for a pricey premium or a deliberate underbid to score the remodeling job. You should call references, carefully read reviews and visit completed projects in Mountain View, CA to see if they’re what you expect for your job. Once you do secure your local Mountain View contractors, read the contract very carefully to be sure everyone is on the same page. Find a Mountain View contractor on Houzz. 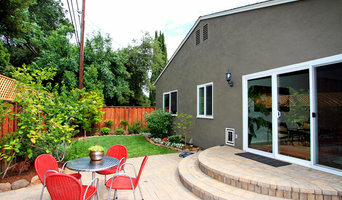 Narrow your search in the Professionals section of the website to Mountain View, CA home contractors. You can also search for photos in Mountain View, CA and contact the Mountain View general contractor who worked on the project.